Effective communication is vital to the success of any team. On campus, we have many teams that have reached great achievements, but a specific highlight is on the TexAnn Volleyball team. The team’s success over the past 60 years cannot be underestimated. In order for the team to reach their full potential, they must all work together. One major team player is outside hitter, Adriana Darthuy. Darthuy is from Marseille, France. She is currently a Junior Kinesiology major. 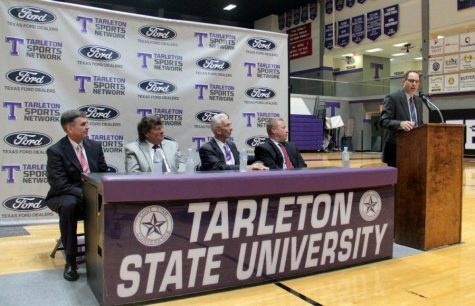 She selected this major because when she started at Tarleton she did not know if she wanted to be a coach or an athletic trainer. However, from working with her current coach and her teammates, Darthuy has discovered that her passion is in teaching others and helping them improve in the sport. Darthuy is currently the outside hitter wearing jersey number six. However, her role is so much more. Darthuy explained that the most crucial tool on her team is to communicate with each other, when they are successful and when there is work to be done. 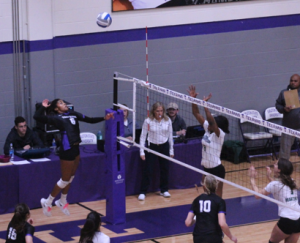 Darthuy’s success on the court has included a career high of 21 kills against Regis University. Darthuy also received Lone State Conference Commissioner’s Honor Roll. 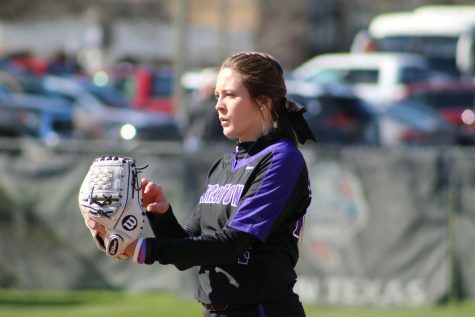 Plus, she is an amazing student and representative of the Tarleton Core Values. Darthuy has a unique perspective to the dynamic of how a team should communicate. She explained that in the United States, her teammates communicate far more than they did in France. For example, if she were playing a game with her team in France and a ball were to be dropped, then everyone would get mad but never talk about how to make the problem better next time. 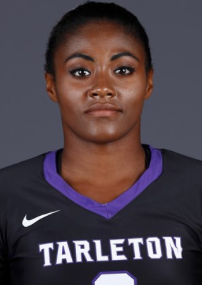 On the other hand, here at Tarleton, Darthuy and her teammates will gather round and talk about the problem and then find a solution to make the problem better next time. Darthuy chose to come to the United States because she did not want to give up going to college. In France, there are no college teams. People can only be professional or be in college because of conflicting times. Darthuy could have gone pro, but continuing her education was very important to her. So, she decided to move. She started her college experience at Missouri State University-West Plains. She had a wonderful experience there, but decided that she wanted to transfer. She toured four other universities before deciding that Tarleton was home for her. After only three days, Darthuy knew that this was the home for her. She was able to get to know the coaches, the team, and the campus. Darthuy expressed that she wanted to be here because of the fun that she had with the team and the fact that they made her feel like home. A huge reason for her love of being here is her team. She is ecstatic about the way that the team communicates and that everyone is on the same page. They are all playing volleyball to be successful. They are all very determined to win the LSC, go to regionals and to make it to nationals. Through their dedication and hard work, it is possible for this team. “Everyone on the team has the same expectation, so we really work hard for it,” stated Darthuy. They all do their best to be in the right mind space at every practice and game because they are all driven to reach a common goal. However, this is not an easy task. Darthuy explained that they give each other constructive criticism, but they are all good about taking it as well. Darthuy is open minded to what her teammates have to say about improving her game because she trusts that the information they have will continue to make the team better. “I really like her mindset,” explains Darthuy. “She expects something from you, so she is going to tell you, she is going to help you, and everything is very clear. Darthuy wants to be like her coach in explaining what she expects from her players and what she expects from herself. 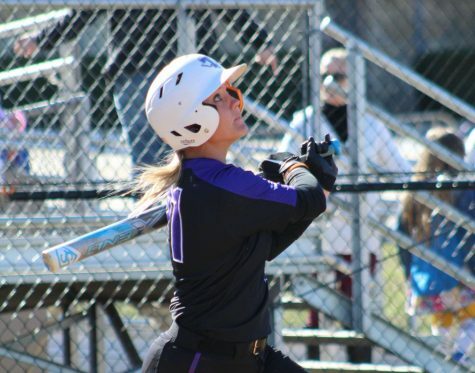 She also wants to be able to connect with her future teams the way that her coach does. She wants to have an impact on others by guiding through their struggles to success. Adriana Darthuy spikes the ball against Eastern New Mexico on the Sept. 11 match. The self-expectations that Darthuy has are to be an offensive leader and have minimal errors, while also being able to support others. She knows that she is able to help others improve by giving them suggestions, which is what she will do as a coach. For example, it can be difficult when players move from one position to another. So, the previous position holder is encouraged to help the new position holder adapt. Darthuy wants to be at a D1 university when she is a coach because she likes the intensity of the games that occur from larger universities. The players are more intense and Darthuy is excited by the challenge that the intensity imposes on the coaches. Additionally, there are higher expectations, which Darthuy is confident in her ability to handle. Overall, Darthuy has had an incredible impact on the TexAnn Volleyball team. She is excited to graduate in May of 2020 because she also plans to play volleyball in 2019. Finally. Darthuy explained that her favorite Tarleton tradition is the singing of the school song at the end of each game. This is not something that they did in France, but she likes it because it shows that everyone is united, regardless of a victory of defeat. 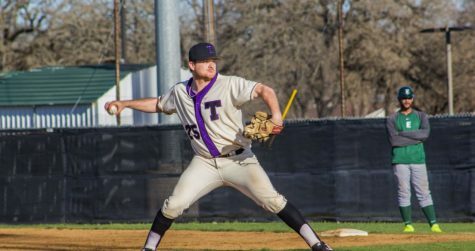 “Tarleton is like a city, but my team is my family,” stated Darthuy.